Discuss your requirements to a member of our Managed Services team. 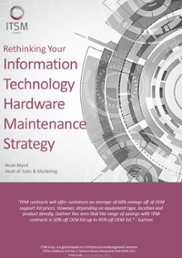 ITSM is increasingly finding that IT managers are concerned with high costs of IT resources, inflexible operating model from existing suppliers, and poor service delivery arrangement with their BAU support. ITSM has been providing leading IT Infrastructure Management Services for enterprises since its inception. Our IT Infrastructure Managed Services team can manage your daily operational technology needs while your team can focus on your business. Extremely competitive and transparent pricing. No commitment contracts. Our word is our contract, you can cancel if we don't deliver. Platform agnostic and complete one-stop IT Infrastructure Managed Services solution. What is your current operational challenge?